Still reeling from an attack on my role as an art critic by a Rhodes art professor, I nonetheless continued to try to cover the shows as they occurred in Port Elizabeth in 2005. 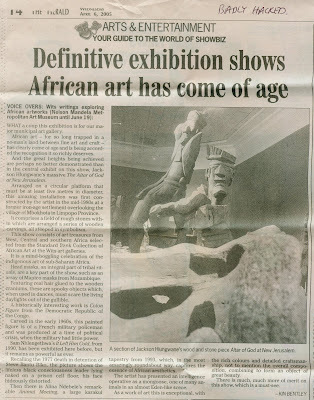 This posting starts with a badly mutilated version of my review of an exhibition of African art. 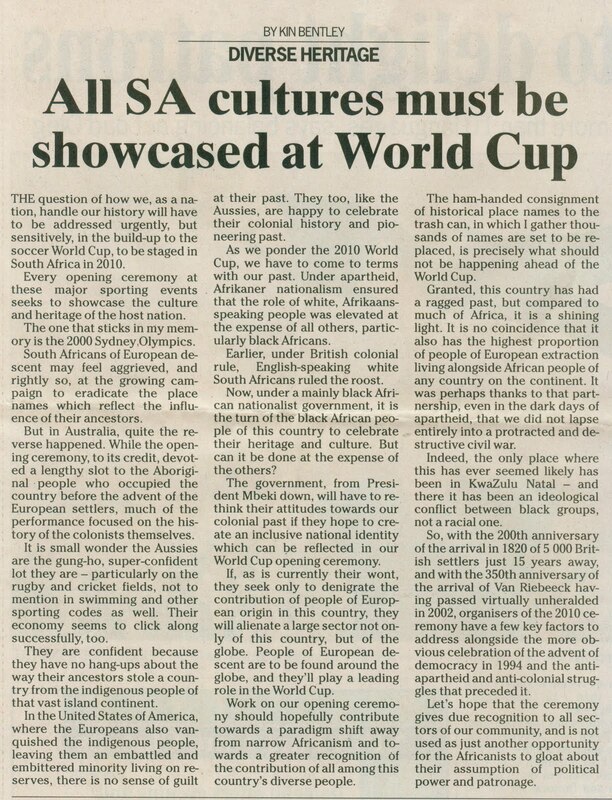 There is also an article about what the cultural emphasis was likely to be in the 2010 World Cup opening ceremony, a review of an exhibition by Norman Catherine, a little letter taking a dig at Kendell Geers and a review of a fascinating book about the human body. 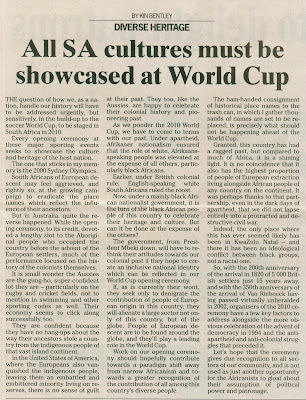 My article on how the 2010 World Cup opening ceremony should be handled, which appeared on April 14. I don't know Norman Catherine but feel a kinship for him, if you'll forgive the pun, since we both attended the East London Technical College art school under Jack Lugg. 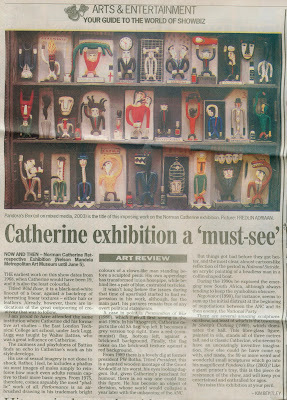 This appeared in April, 2005, but I had not dated the clipping. 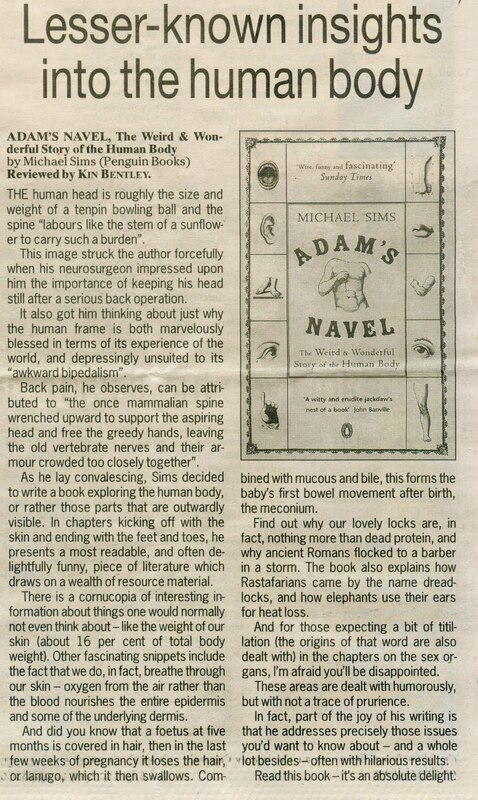 I went rather overboard with this letter attacking Kendell Geers, run in the Sunday Times on May 15, 2005. 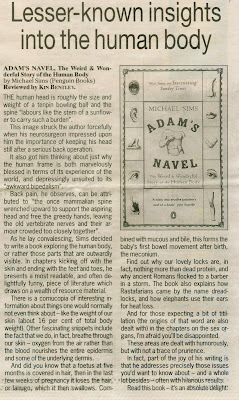 My review of Michael Sims's book, Adam's Navel, which appeared in the Herald's supplement, TGIF, on May 27, 2005.